Undertakers of the beetle world! 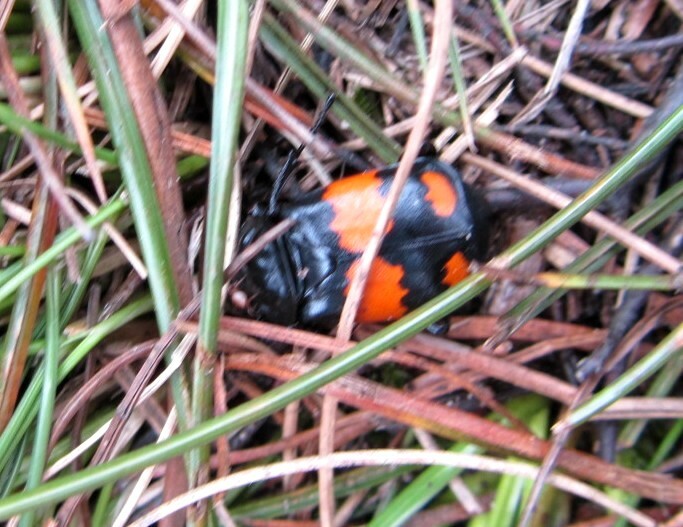 This beautifully coloured beetle was spotted by Neal on our walk today on the lower slopes of Kinder Scout. It is a Sexton Beetle. They are also known as Burying Beetles and get their name from their practice of digging a hole beneath small dead animals and birds then pulling the body down into the hole. They then use the carcass as a source of food for their larvae.